To say that iPerformance offers raw electric power would be an understatement. Drivers near Newark and Jersey City, NJ would do well to get behind the wheel of a new BMW car with iPerformance features. BMW iPerformance is redefining what the power in a hybrid electric vehicle can do. The BMW 530e Plug-In-Hybrid offers performance that is on par with a lightning strike – it is untamed and quick. Call it a force of nature. Call it BMW iPerformance. The tech upgrade that's available in the 530e Plug-In Hybrid makes it easy to explore. The newest plug-in-hybrid model in the 5-series, the 530e, can add torque for a minimal price increase as well as incentives. The vehicle offers better balance and even a wireless charging option. The performance featured in this model electric motor at 111 hp and 184 lb-ft of torque. Drivers can expect the familiar ZF-supplied eight-speed automatic transmission inside the 530e as well. Interested in BMW iPerformance? 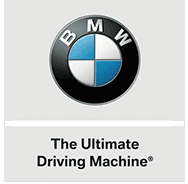 Schedule a test drive at BMW of Bloomfield, NJ today.